The only thing more fun than rolling for a random magic item in the Dungeon Master’s Guide is giving your player characters an original one you created. Magic items are the most popular element of fifth edition D&D for designers and dungeon masters to create from scratch. Magic items are also one of the easiest pieces of the game to make. The simple reason: magic items can do anything you want them to do and do not need to be balanced (though beware making them too powerful can make your game go haywire). Fifth edition D&D’s bounded accuracy system doesn’t account for players getting magic items, so it’s up to you how much extra power you want to give the characters. If the item you’re considering designing doesn’t already exist and can’t be built by tweaking an existing magic item, it’s time to design our own. I designed a set of three magic items: stoneguard armor, stonecutter axe, and stoneshaper ring. I’ll show you how I designed each step-by-step. Many items have a single sentence at the beginning of their description that tells the reader what the item looks like. If the item’s history and narrative are significant (like moonblade), you can add as much story information as you like. I recommend putting your story information first followed by your item’s physical description, especially if both require more than a few sentences. 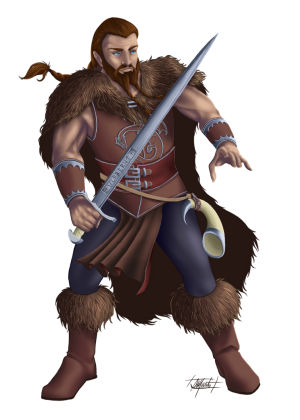 The opening for stoneguard armor is Mountain dwarf masons and wizards crafted this armor to wear while defending their cities from invading duergar. This suit of plate armor consists of interlocking pieces of smooth stone and a helmet that appears to be a grinning dwarf monarch. 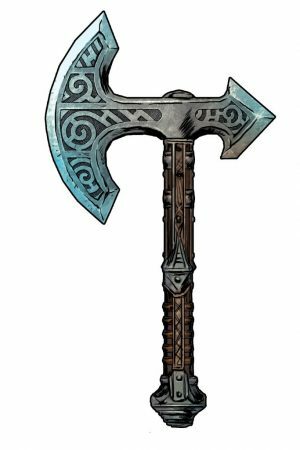 The opening for stonecutter axe is Mountain dwarf masons and wizards crafted this battleaxe to wield while defending their cities from invading duergar. The axe is a single piece of stone carved with Dwarvish runes. The opening for stoneshaper ring is Mountain dwarf masons and wizards crafted this ring to wear while defending their cities from invading duergar. This ring is a single band of smooth stone carved with the symbol of Moradin. After providing a physical description of the magic item, write its mechanical description. What does your item do? The sky is the limit here, but keep in mind that items tend to thematically stick to what they do normally, just way, way better. For instance, weapons provide attack and damage bonuses, armor provides AC bonuses, and spellcasting focuses grant spells. While it would mechanically be fine for gloves to make a character move more silently, such a feature might make more sense for a pair of boots. This advice is just that: a guideline that you should feel free to break when you have good reason. When you’re crafting your item’s mechanics, look at items, class features, spells, and feats that grant similar abilities to see how they are worded. The closer you stick to the style of D&D’s core books, the better your item plays with rules that already exists in the game. Behold the mechanics for each item I’m creating. Mountain dwarf masons and wizards crafted this armor to wear while defending their cities from invading duergar. This suit of plate armor consists of interlocking pieces of smooth stone and a helmet that shows the face of a grinning dwarf monarch. While wearing this armor, you gain a +1 bonus to AC and darkvision out to a range of 60 feet. If you already have darkvision before wearing the armor, the range of your darkvision increases 60 feet. In addition, if you stand perfectly still while wearing this armor, your appearance is indistinguishable from a statue of an ancient dwarf monarch. If you are attuned to the stoneguard armor and attuned to the stonecutter axe and the stoneshaper ring, the bonus to AC granted by the armor increases to +2. Mountain dwarf masons and wizards crafted this battleaxe to wield while defending their cities from invading duergar. The axe is a single piece of stone carved with Dwarvish runes. 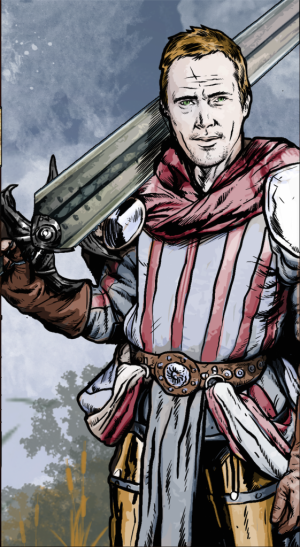 You gain a +1 bonus to attack and damage rolls made with the battleaxe. In addition, whenever you hit an object or creature made of stone or earth (such as an earth elemental or stone golem) with this weapon, you deal an extra 2d8 thunder damage to the target. If a creature takes thunder damage from this weapon, it must succeed on a DC 15 Strength saving throw or be knocked prone. If you are attuned to the stonecutter axe and attuned to the stoneguard armor and the stoneshaper ring, the bonus to attack and damage rolls you make with this weapon increases to +2. Mountain dwarf masons and wizards crafted this ring to wear while defending their cities from invading duergar. This ring is a single band of smooth stone carved with the symbol of Moradin. This ring has 3 charges and it regains 1d3 expended charges daily at dawn. While wearing this ring, you can expend 1 charge to cast the following spells without needing to expend any material components: meld into stone, passwall, and transmute rock. The spell save DC for these spells is 15. If you are attuned to the stoneshaper ring and attuned to the stoneguard armor and the stonecutter axe, the spell save DC for these spells increases to 17. The trickiest part of designing your item is its rarity, but luckily the Dungeon Master’s Guide has advice. The Magic Item Power by Rarity table is a great place to start, but it shouldn’t be the only place you look. 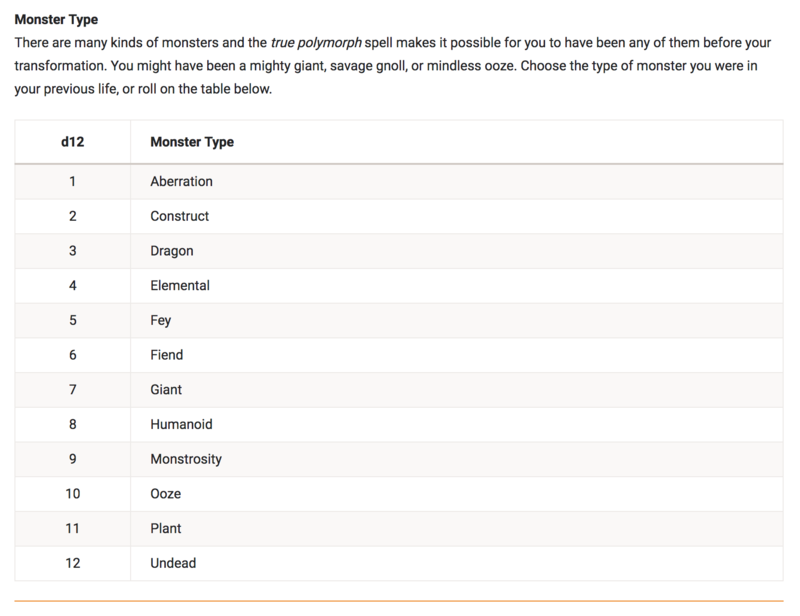 Compare your item to similar items in the Dungeon Master’s Guide to help pinpoint rarity. 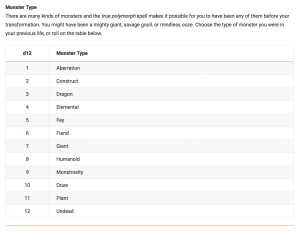 The Magic Item Power by Rarity table it says that an item that grants a +1 bonus to AC or attack rolls must be at least uncommon rarity and items that grant 5th-level spells must be at least rare. That means off the bat the +1 bonuses provided by the stoneguard armor and the stonecutter axe make those items at least uncommon. The same table reveals the stoneshaper ring is at least rare, since it grants two 5th-level spells to its wearer. To determine the final rarity of the stoneguard armor I looked at other magic suits of armor in the Dungeon Master’s Guide. First I saw that plain old +1 armor starts at rare, which immediately boosts the rating of my armor from uncommon to rare. Then I compared it to armor of invulnerability, demon armor, and dwarven plate to get a sense of different magic plate armor abilities compared to rarities. Stoneguard armor grants darkvision, a hiding utility, and the potential to raise its AC bonus to +2 when paired with other magic items, so I raised its rarity one more time from rare to very rare. To determine the final rarity of the stonecutter axe I looked at the rarity of other magic weapons in the Dungeon Master’s Guide. I studied the berserker axe, dagger of venom, sword of sharpness, sword of vengeance, and sun blade specifically. Given the features of the stonecutter axe beyond its bonus to attack and damage rolls, I gave it a boost in rarity from uncommon to rare. To determine the final rarity of the stoneshaper ring I looked at the rarity of all the magic rings in the Dungeon Master’s Guide. The item’s limited casting power and the fact that three of its spells are under 6th-level tracks with its already determined rare power rating, so I left it as is. If having all the characters in a party pass an item around to gain its lasting benefits would be disruptive, the item should require attunement. If the item grants a bonus that other items also grant, it’s a good idea to require attunement so that characters don’t to collect too many of the other items. James adds: If your item is consumable (like a potion) it should not require attunement. If you’re on the fence about attunement for your item, play it safe and go with requiring it. Many in the Dungeon Master’s Guide do. The stoneguard armor, stonecutter axe, and stoneshaper ring all require attunement because they provide benefits that would be disruptive if passed around from player to player. Are there any restrictions about who can attune to your items? For instance in the Dungeon Master’s Guide the staff of the woodlands requires attunement by a druid or the moonblade requires attunement by an elf or half-elf of neutral good alignment. Do whatever makes sense for your item’s story. For the most part, staffs and wands that grant the wielder a significant number of spells require attunement by a spellcaster or a specific class that can cast the spells granted. This helps curb the items power. A staff of fire the hands of a sorcerer or wizard essentially gives the caster more spell slots. In the hands of a bard or fighter however, the item turns them into multiclass characters with access to spells they probably don’t have without the item. It’s fine if you want to design a staff that casts unlimited fireball spells to which anyone can attune, just know the consequences. Now that you’ve created your magic item, give it a once over. Read it out loud and edit. Even the most experienced designers need to edit their work. Then send your work to a friend to make comments. A second pair of eyes helps you understand if the design intent of your item is coming through. 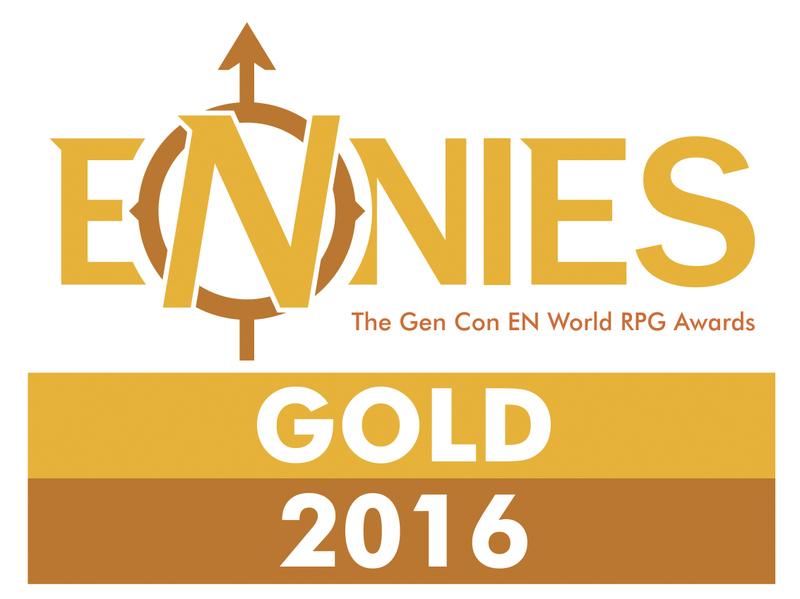 If you have the opportunity to playtest your new item, take it! Nothing is a better test of your design work than actually seeing it in action. Plus it’s a great excuse to get friends together for a game of D&D! As always give your item to someone else to use during the playtest, again to see if the design intent comes through. Change anything you think needs it after playtesting. It’s time to make your work public! That means sharing the magic item with your group, posting it to a blog, putting it up for sale on the DMs Guild, or on D&D Beyond. You can find the final versions of my items here: stoneguard armor, stonecutter axe, and stoneshaper ring. There you have it! A step-by-step process for creating a D&D magic item. I can’t wait to see what people create. Share your items with me on Twitter @JamesIntrocaso on in the comments below. Next week, I’ll show you how to make a new monster! We need more spells that deal necrotic damage. When I showed off my lichtouched sorercous origin, this fact was pointed out to me by several people. 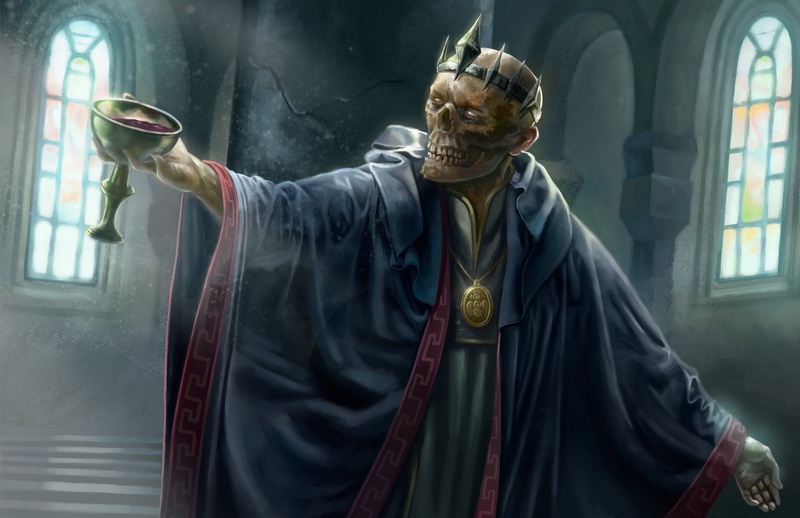 The subclass has some features that rely on the character being able to cast such magic and is less valuable because of the lack of necrotic-slinging spells. 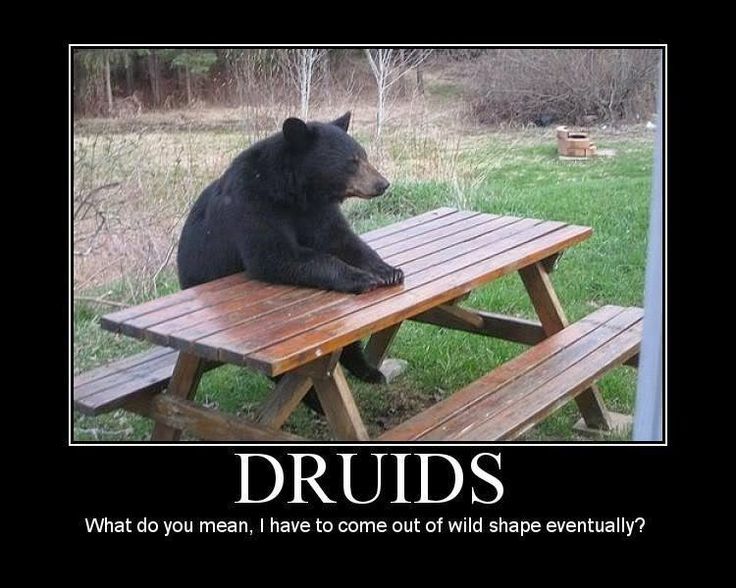 The obvious answer to this dilemma is to create some new spells that deal necrotic damage, which I intend to do, but I want to playtest the subclass now and I need some reliable magic to do so. Rather than also playtest many new spells, I could playtest just a single new feat. That got me thinking about creating a feat that allows casters to change the damage type of their spells. I ended up making one of those that I’m sharing below! 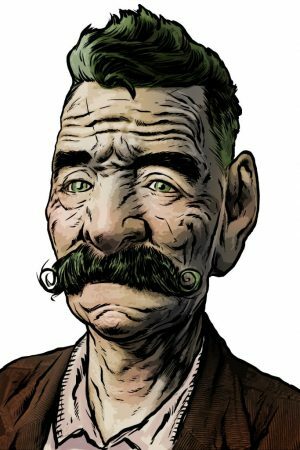 Though feats are small when it comes to the amount of text they have, they’re one of the most difficult pieces of the game to balance. They tend to be powerful rule exceptions that don’t have a lot of math to help balance them. Feats vary widely from Actor to Lucky to Sharpshooter to War Caster. Would I rather take an ability score increase to my lowest score than take this feat? The answer to this question should be no (in most cases). Would I give up an ability score increase to my most important ability than than take this feat? The answer to this question should be yes (in most cases). My first thought was to create a single feat that allows a caster to change the damage type dealt by one spell to any other damage type, but that is far too powerful and versatile for a single feat. Thinking more about it, the more balanced thing to do is allow for one energy type to be swapped for another each time a feat is gained. Behold the Energy Substitution feat below! You have mastered the magical flow of two energies so well that you can interchange them. Choose two of the following damage types: acid, cold, fire, lightning, necrotic, poison, radiant, or thunder. Anytime you cast a spell that deals one of your chosen damage types, you can convert it to the other chosen type. You can take this feat multiple times. Each time you do, select two more damage types that you can interchange with each other and the damage types you chose when you selected this feat previously. Let me know what you think of these feats in the comments below. Too awesome? Not awesome enough? What would you change?